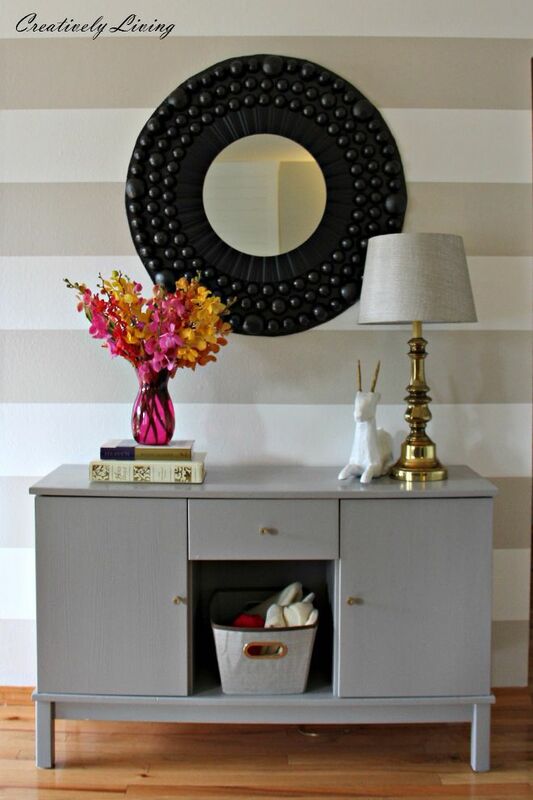 As one of the most versatile decorating means, mirrors can be useful for more than just looking at your own reflection. With careful placement, according to designer Andreea Avram Rusu, “Mirrors bring light and depth into rooms — they’re like decorative windows you can move around and place as you like.” This can completely enhance the room as a whole. Even better, mirrors are neutral in terms of style. Instead, the frame is decorative, and do-it-yourselfers know exactly how to create frames in any style, whether it’s classic, contemporary, or country. Here are two easy DIY mirror frame projects that illustrate this point: a bubble mirror frame from Creatively Living and a rose frame from Better Homes and Gardens. 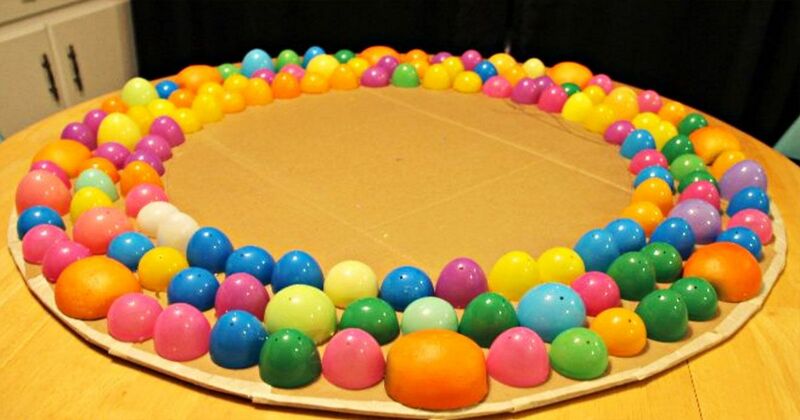 To create a bubble mirror, Creatively Living used a large piece of cardboard for the base, adding 6” around an existing round mirror they already had with a black frame. 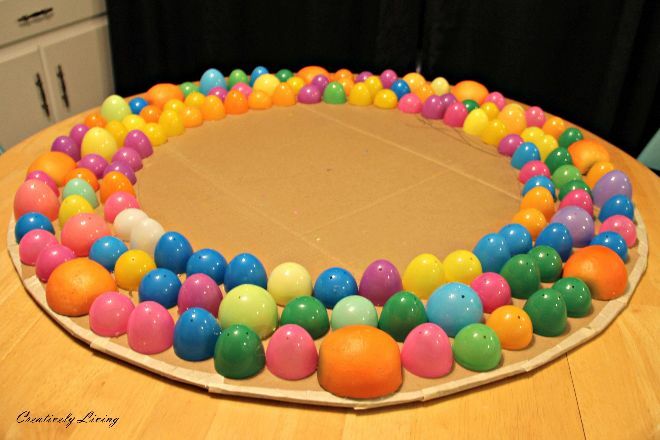 Easter eggs and fake oranges were cut into half, glued to the cardboard, and spray-painted black to match the frame of the mirror. 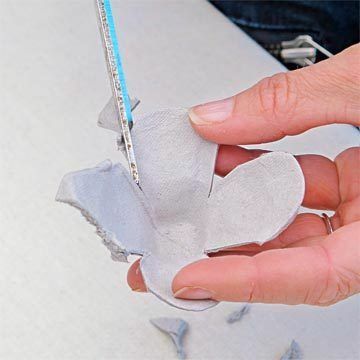 You can find more detailed instructions at Creatively Living. Because they already had a mirror to use, the only item purchased was the spray paint. The total cost of the bubble mirror is only about $5. 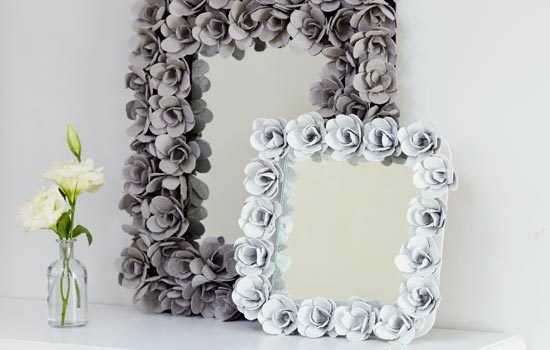 However, if you have access to old egg cartons and have a mirror, the cost of the rose frame from Better Homes and Gardens will cost nothing. Better Homes and Gardens fashioned the roses from egg cartons but you need to be sure you have quite a few, as each rose uses three egg cups. Once all the flowers were created, they can be spray painted or left the plain gray color of the cartons. Each rose can be arranged as you see fit to make the frame wide or skinny, densely covered or not. The final result is not only free it is absolutely stunning. Find the full instructions at Better Homes and Gardens. “Mirrors are like art in that the style should coincide with other pieces in your home,” designer Amy Bubier says. “They are an integral part of design and style.” DIY projects like these help make it effortless and inexpensive to create frames that will perfectly match your style and boost light or dimension in any room of your home.